Questions and comments about specific games, online gaming etc. Post your games for sale or trade here. This is the place to post about and discuss any KickStarter/other crowdfunding pages and promote new games. If you want to promote your game, you can post here too. For any other promoting or playtesting, please contact the organisers first. Information about upcoming events that club members might be interested in. 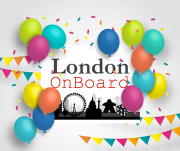 London on Board is a friendly group of board game fans aged over 18. We meet almost every day of the week in venues around central London.